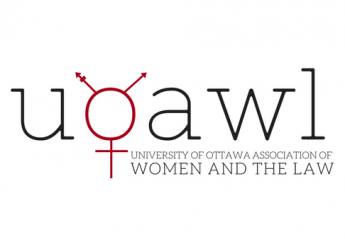 The University of Ottawa Association of Women and the Law (UOAWL) is an advocacy group associated with the University of Ottawa Faculty of Law and the National Association of Women in the Law. Our mandate encompasses legal advocacy, law reform, lobbying the government, legal research, human rights related projects, and promoting issues in the area of women and the law. NAWL was created at a conference held at the University of Windsor in 1974. Since then, NAWL has used its unique research and educational strategies to raise public awareness about legal issues affecting women.